Today I am going to share with you a very simple and easy negative space design. I'm going to be honest with you. 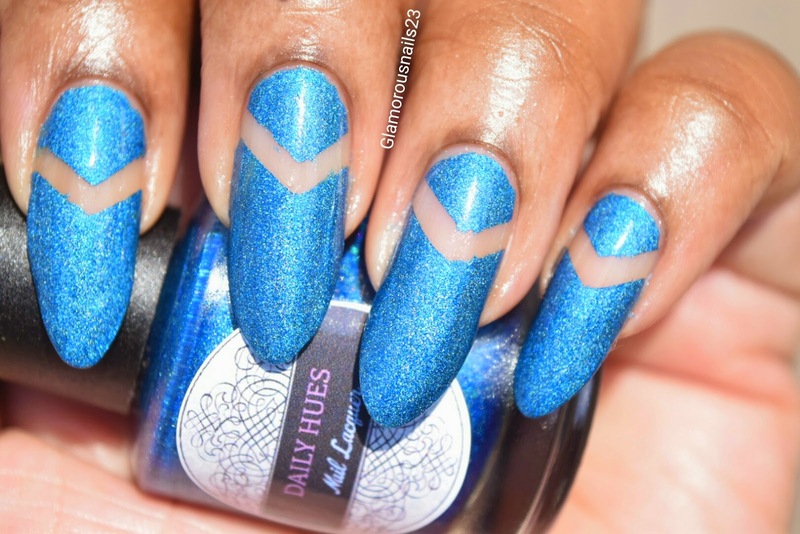 When I first saw this design floating around I was quite hesitant on trying it out because I wasn't too sure how I felt about it and I wasn't sure how it would look on my nails. But now that I have given the design a try I must say that I do quite fancy it! Isn't this polish just stunning!!?? This is one of those polishes that you will definitely see me using again. 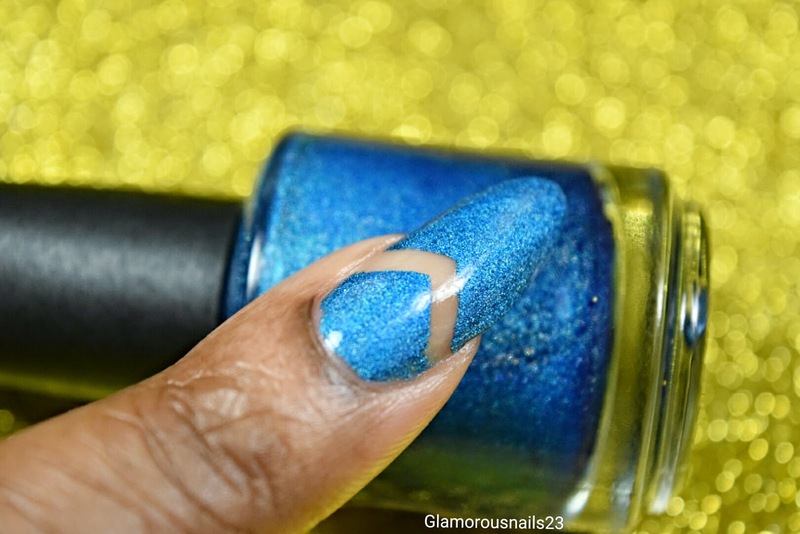 I did a review on the Limited Edition # 8 polish which can be found here. 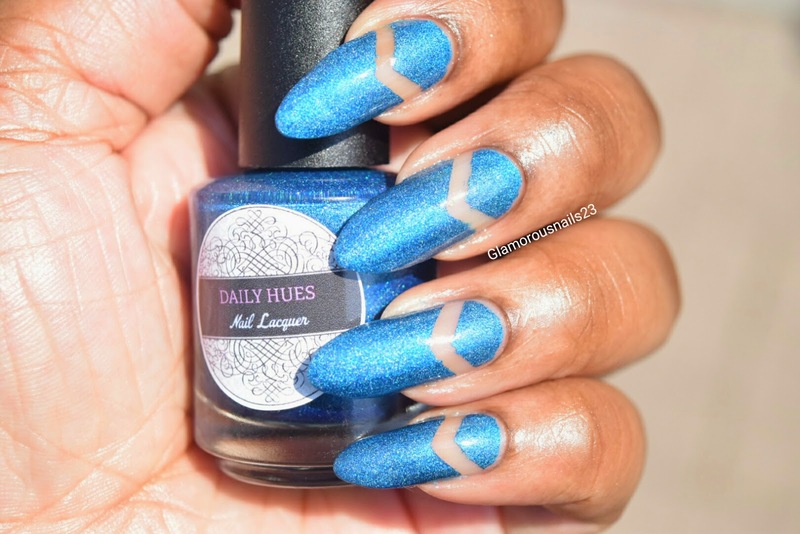 You can also purchase the May- June Bi-Monthly Box Duo along with other beautiful polishes at Daily Hues Nail Lacquer. What did you think of this design? 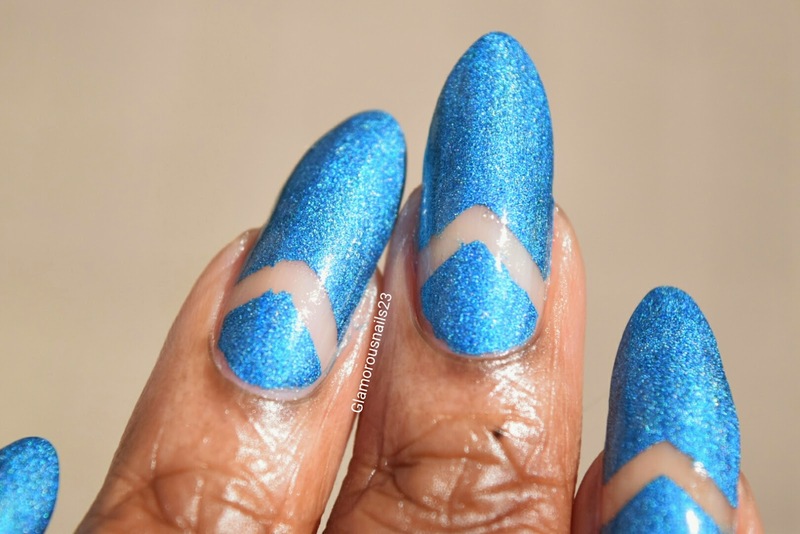 Have you ever done any negative space nail art? Let me know in the comments below!